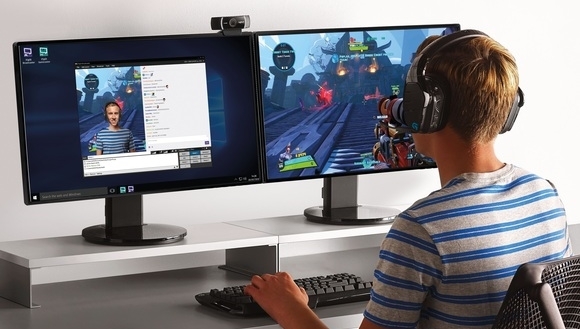 If you’ve looked into webcams for YouTube channels or Twitch streaming before you’ve likely seen a fair few people out there recommending the Logitech C920, it was (and still is) a great option for capturing video while still being pretty affordable. 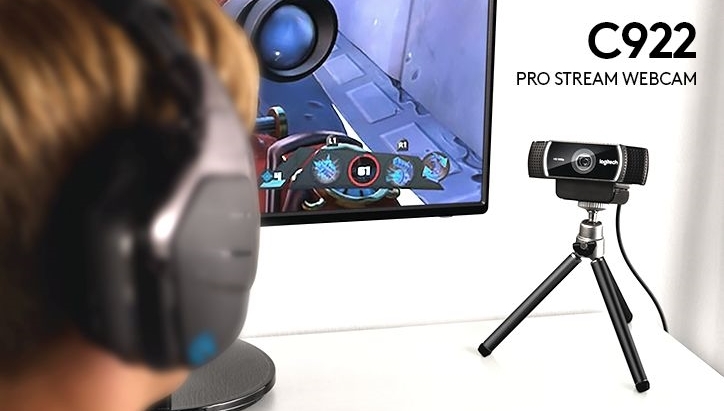 Now Logitech are bringing a new Webcam into the mix with a feature set that’s designed to meet the demands of serious streamers everywhere, the C922 Pro Stream makes it easy to produce clear, professional content. You can stream and record video in your choice of sharp, true-to-life 1080p at 30fps or a fluid 720p at 60fps to match the speed of your game. Uploads are fast and smooth thanks to built-in advanced H.264 video compression, freeing up processing power and network bandwidth to keep your game smooth while you broadcast. It’s even packing a digital dynamic background replacement powered by Personify, so you can easily integrate your live image into the game on Twitch or YouTube without a complicated green screen setup. Automatic low-light correction and premium autofocus through a full HD glass lens adjusts to your movements and environment, so you have a consistent broadcast even in the dim, fluctuating light gamers regularly experience. The C922 Pro Stream could well be the perfect all-in-one choice for getting into streaming and although getting yourself a dedicated directional microphone is definitely going to make things even better the C922 does have built-in dual omni-directional noise cancelling microphones to capture stereo audio from every angle which is pretty good. The Logitech C922 Pro Stream Webcam is available now and below is a quick test with the Personify feature, this and all the other goodness it brings with it this one’s sure to go down well with gamers around the world! On that note we happily give it our GGPC recommends award – the Logitech C922 Pro Stream Webcam is GOOD! UPDATE: This amazing keyboard is available in NZ now! 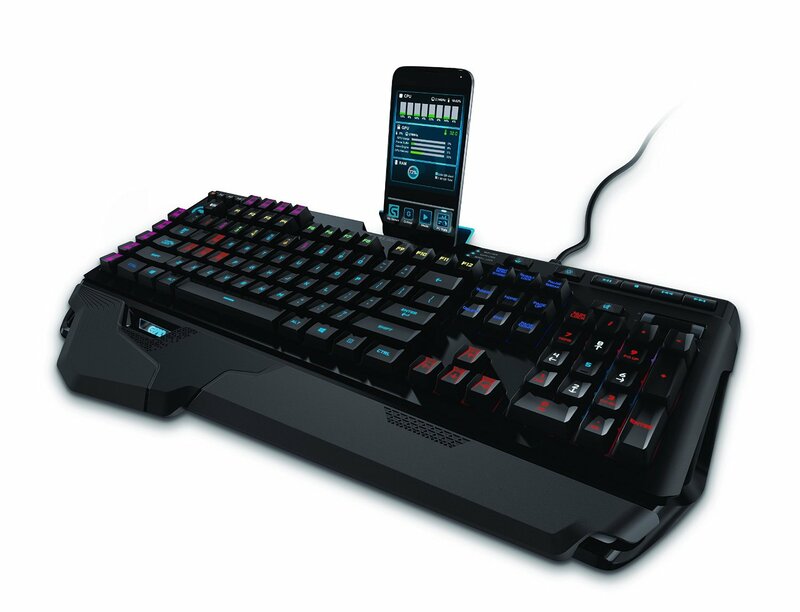 Not to be confused with the previous Orion Spark the new Logitech G Orion Spectrum is what happens when a company listens to customer feedback and adjusts to make their products even better. 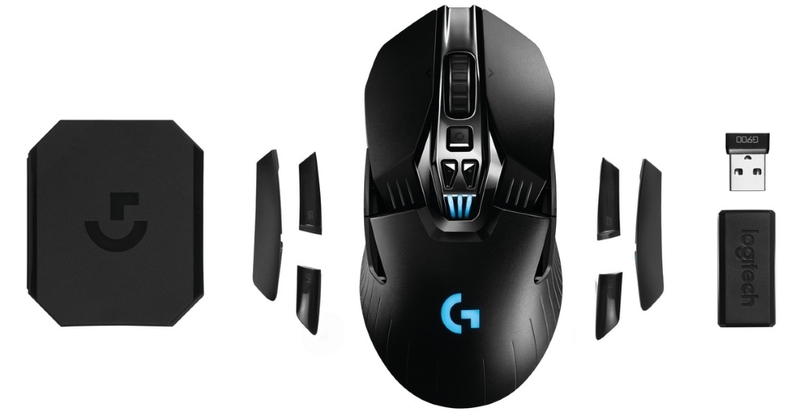 An awesome version of the G910 from Logitech is incoming – The G910 Orion Spectrum! With a darker look, RGB logo and those ultra fast Romer-G mechanical switches to give you incredible responsiveness, this sleek RGB Mechanical keyboard actuates your presses faster than standard mechanical switches. This faster actuation gives you faster response for the winning edge in battles where every move you make matters. A small detail in the keycaps has been adjusted to be smoother allowing for easier finger travel between them during the more complex maneuvers we all attempt while in the heat of battle. As with the original Orion Spark the Spectrum allows for some pretty extreme customisation via the Logitech Gaming software, you can tweak keyboards lighting effects and mark individual keys by colour to keep track of spells and game commands. Each key’s backlight can be customised from a palette of 16.8 million colors. The key letters are entirely illuminated for a beautiful, evenly-lit glow with minimal light leakage 🙂 You can also download ARX Control app for your smartphone (here are links for Android and Apple) which introduces some second-screen capabilities. Use your smart phone or tablet screen to display in-game info, vital system statistics and more. The keyboard’s adjustable smart dock positions your phone perfectly at the top of the keyboard. 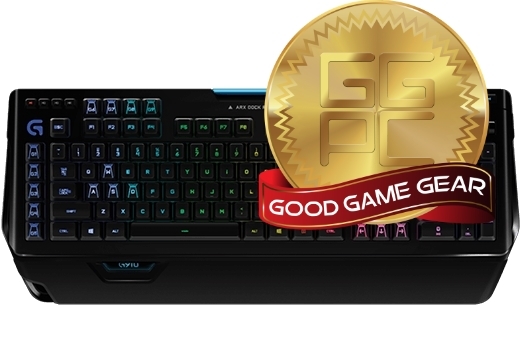 We’ve really put this keyboard through some extremely enjoyable game testing and happily give it our full recommendation – the Logitech G910 Orion Spectrum is GOOD! This keyboard is outstanding top to bottom, in-game integration for lighting effects is simply outstanding – check out the video below as we test this with Counter Strike: Global Offensive using the key lighting to signal the number of rounds left in our clip. This lightweight semi modular masterpiece is well suited for both lefties and right handers with the side buttons being removable and you can even opt to have no side buttons with the included plates. The G900 has 5-11 buttons available to you, including a left and right click on the scroll wheel. Unplug the data and charging cable to seamlessly switch between wired and wireless modes without interrupting your game. It’s got staying power – the wireless battery life of older G700 was a admirable 8-10 hours, the G602 had its rather insane 200+ hours battery life but the trade off was weight added by two AA batteries (or one, the mouse can be used just a single battery) and while the G900 doesn’t quite hit those numbers you can still game without recharge for around 24 hours with all the lighting on, and upto 32 hours with the lights off. The mouse automatically goes to sleep when not in use and wakes up quickly when you want to use it again. The Chaos Spectrum is equipped with the PMW3366 optical sensor which is widely regarded as the best gaming mouse sensor on the market. With features like zero smoothing, filtering or acceleration across the entire DPI range (200-12,000DPI) this component delivers incredible tracking and accuracy with consistent responsiveness even at maximum speed. UPDATE: This amazing mouse is now available in New Zealand! 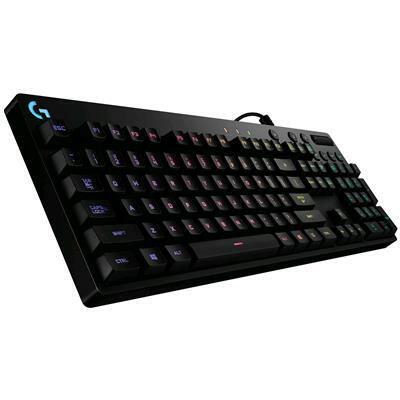 Good Gaming Keyboard – Logitech G610! Logitech has unveiled two new mechanical keyboards, the Orion G610 brown switch and G610 red switch, using the same sleek chassis as the recently released G810. The only thing better than getting new stuff is getting new stuff with other new stuff included for free. If you’re on the hunt for a new gaming keyboard, chances are pretty good Logitech have what you’ve been searching for. It features full RGB lighting along with excellent media controls and the G810’s classy design won’t take up all the space on your desk either, which is a pretty nice option to see in the gaming keyboard lineup indeed. If you’d like something a little more “full featured gamer” look no further than the massive Logitech G910 Orion Spark Gaming Keyboard. Customize your favorite game with 9 individually programmable G-keys, the Orion Spark supports up to 27 commands across three profiles for maximum convenience and you can mark keys by colour to keep track of spells and game commands with the customisable lighting options – each keys letter is entirely illuminated for a beautiful, evenly-lit glow. You can even mount and use your smart phone or tablet to display in-game info, vital system statistics and more via the Arx Control app. Two beautiful and very different keyboards, and for a limited time – if you Gear UP with Logitech – The Division could be yours as well! For those who enjoy the action of FPS (first person shooters) there is a stunning mouse by Logitech named the G402. A few features make this mouse our top pick for shooters – the most obvious being the dedicated DPI shift or “sniper” button that when depressed lowers the mouse movement rate for you so you can aim smoothly for that perfect headshot. The other feature (which is much harder to see) is the extremely fast and accurate turning this mouse offers by tracking multiple sensors at once. This is much more than what mouse acceleration used to be as your movements are tracked via an optical sensor, accelerometer and a gyroscope. Collectively, these three components allow you to turn quickly by simply moving the mouse quickly, as you do naturally while in the heat of battle while still enjoying the precision of slower movements. 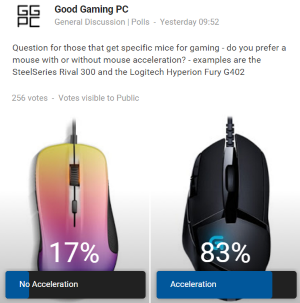 We also put this mouse up against another favourite for the FPS spot, the SteelSeries Rival 300 to see what people thought about this and it sure seems to be a popular move by Logitech.